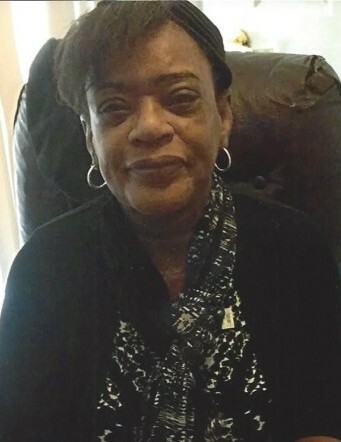 Obituary for Andretta (Burks) Parham | Thatcher's Funeral Home, Inc.
Andretta ws born to Pauline and John Henry Burks on June 10, 1960 in Camden, Arkansas. To their union, she was the seventh of eight children. She accepted Christ at an early age. She was baptized at Pleasant Green Missionary Baptist Church, under the leadership of Rev. David L. Gray. She was a member of Greater Faith Baptist Church for many years, and later rejoined Pleasant Green under the Rev. Dr. Jarvis L. Collier. Andretta married Leroy Parham and to this union they had a son Roy Lejohn. Later years, she married Ronnie Hurst, unto their union Roderick and Roslyn were born. She worked in Hospitality Industry for more than twenty years, and in 2015 she retired after being with Holiday Inn Express after ten years. Andretta’s children and grandchildren were the pride and joy of her life. She would light up the room with her presence, smile, and her infectious laugh. Everyone she greeted either in person or a simple phone call she always said, “We are all blessed again today”. Then she would end it with an “I love you”. Andretta went home to be with the Lord peacefully surrounded by her children, on July 10, 2018 at The University of Kansas Medical Center. She was preceded in death by her parents, her husband, three brothers, Charles, Marvin, and James; her son, Roy Lejohn. She leaves to cherish her memory her two children, Roslyn Lawton of Kansas City, Kanas; Roderick Lawton of Kansas City, Kansas; four grandchildren, Ta’Lisa, Devin, Isaiah and Joy; her siblings, Carl Dean Burks (MaryAnn) of Camden, Arkansas; Tyrone Burks of Camden, Arkansas; Colene Frazier of Kansas City, Kansas; Carolyn Burks of Kansas City, Missouri; Nellie Rufus (Tony) of Camden, Arkansas; Joan Burks of Michigan; Johnnie Marie Toney of Forestr City, Arkansas; a host of nieces, nephews, family and friends.